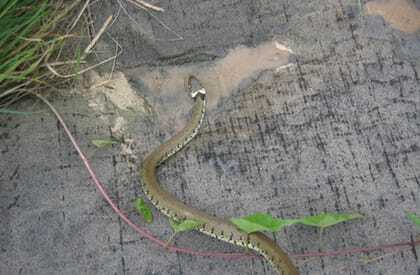 There are six native reptiles found in the UK – grass snake, adder, smooth snake, common (or viviparous) lizard, sand lizard and slow worm (a legless lizard). 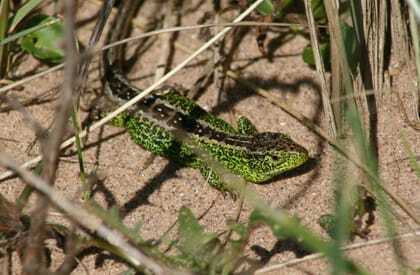 All are protected by UK legislation, with smooth snake and sand lizard being European protected species. Reptiles are found in a variety of habitats including heathland, rough/rank grassland, allotments and gardens, scrubby areas, brownfield sites, wetlands (grass snakes), sand dunes and hedgerows adjacent to these habitats. Development affecting these habitats is likely to require a reptile survey. Reptile surveys include visual observation and inspection under naturally occurring or artificial refugia to determine presence or absence and an indication of population size if reptiles are using the site. We follow best practice guidelines, including Froglife Advice Sheet 10, Natural England Reptile Mitigation Guidelines, the Joint Nature Conservation Committee (JNCC) Herpetofauna Workers’ Manual and the Herpetofauna Groups of Britain and Ireland (HGBI) Advisory Note. Reptile surveys are seasonally constrained. We would therefore recommend that you Contact Us at the earliest opportunity in order to plan your surveys and subsequent works to prevent unnecessary costs and delays. For more information, please read our Reptile Survey Information Sheet. We can undertake an appraisal of your land (or proposed land purchase) for reptiles, as part of a Preliminary Ecological Appraisal. If necessary, subsequent detailed surveys can be carried out to obtain planning permission. We also implement reptile exclusion fencing and reptile translocations and destructive searches.